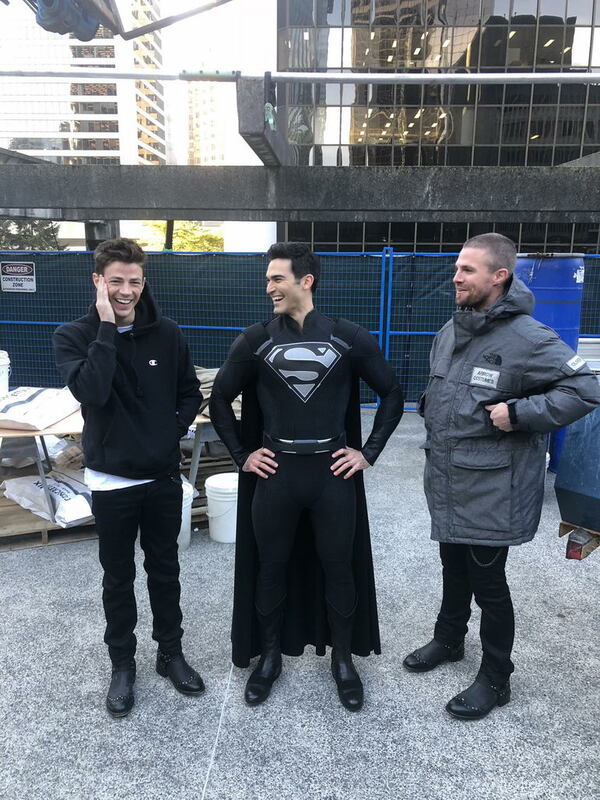 When the Elseworlds Crossover hits the CW Arrowverse, fans are in for a lot of firsts. Along with Ruby Rose joining up as Batwoman, and the first appearance of this universe’s Lois Lane, it looks like we’ll also be getting a look at Superman in his black costume. This might sting more fans that it excites, as many are still sore about the fact that they were robbed of the chance to see Henry Cavill in the black costume during Justice League. Earlier today, Stephen Amell released an image of him (Green Arrow) and Grant Gustin (the Flash), with Tyler Hoechlin (Superman) in the iconic black costume.